Despite reports in the press, Ecotricity are still applying to build three turbines. Swindon Borough Planning Dept have stated ‘…..the application remains for the full three’. Two turbines is an option the Planning Committee could choose if they reject the application for three turbines. 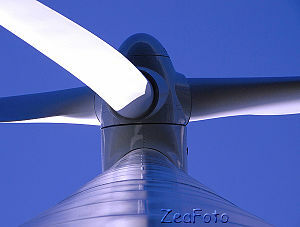 Ecotricity would later apply to the Council to build the third turbine. This would be an easier process than submitting a new application or appealing against a refusal of their application for three turbines. It is more important than ever that as many local residents as possible attend the next planning committee Meeting to protect their homes and families from the effects of the turbines. We do not yet know the date and venue of the Planning Meeting when the revised application will be heard, but look out for the next illwind leaflet within the next week or so when we will have more information for you. Is that more information or more fabrication. Honda have now altered their plans twice, both the previous plans were approved by officers, is it not time to consider the wider picture. It has been written by a former Honda head office employee that they have contingency plans in place already to move to Turkey and Poland (their emerging markets) if the economics of building cars in the UK doesn’t stack up. We know for a fact that their production costs are the highest in the UK. Interesting update. I received a planning application card from Swindon Borough Council which clearly stated the revised application was for 2 Wind Turbines, perhaps we could see evidence of where the original application is being proceeded with.